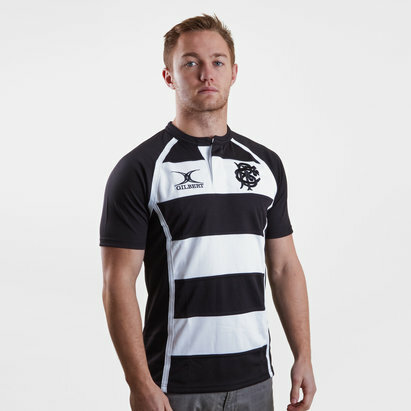 Cheer on the World’s most famous invitational rugby side when you pull on this Barbarians 2019 Home Pro S/S Rugby Shirt from Gilbert. This pro premium shirt is made from Polyester Spandex. 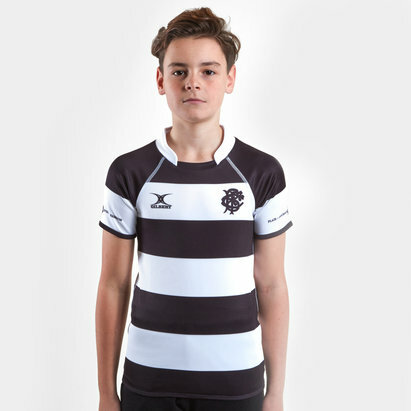 This slimmer-fitting jersey has been developed in line with the requirements of the game and offers a streamline fit. This high-quality fabric has moisture management and breathability functions to keep the body cool and dry. The shirt features a self-fabric premium collar that sits flush around the base of the neck. A snug fit with flexibility. 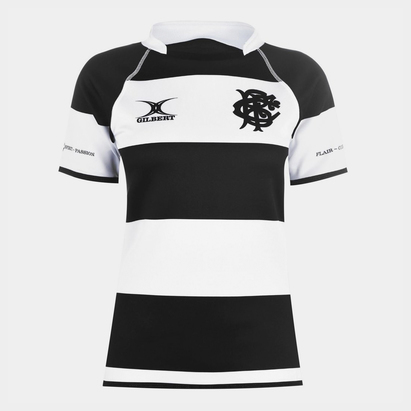 Using the team's traditional black and white hoop design shirt it has black and white sleeves also. 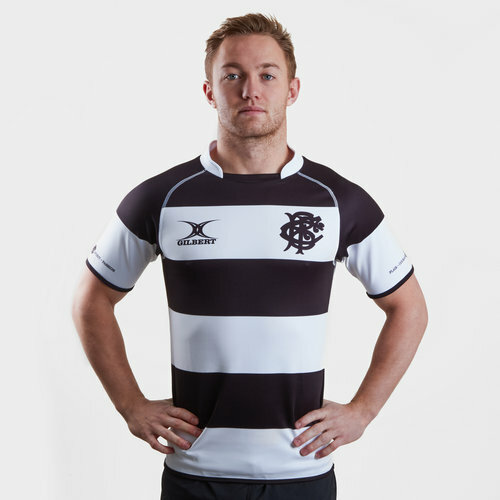 The Gilbert logo is on the right and the Barbarians badge on the left.